Anchoring is used in our lives in a multitude of ways, even though you may have never heard the term before. Anchors are the "triggers" and "buttons that get pushed" that can either make your moment instantly positive and put a smile on your face; or ruin our day in a flash by putting us in a negative emotional state. If you know about them and how to set them, anchors can also be used purposefully as a powerful tool for managing our emotional states and influencing our behaviors and decisions in a positive ways. With practice and knowledge of anchors we can change our state of being instead of allowing our state to change us. You actually have the power to automatically switch your mind to a positive state when you want to and are willing to. The human brain is capable of that. It is this process that we call "anchoring". It this process, through Hypnosis, where you will make positive and powerful changes in your life. There are different types of anchors. First, a good definition of an anchor is a stimulus or behavior that is associated with a particular state of mind or mood. For example, if every time you smelled bread baking you associated it with a positive memory of being loved by your family; it is this smell that then brings you immediately into a positive state of being. Science (Ivan Pavlov is a great example) has proven that associations can trigger feelings and behaviors without someone making a conscious effort. That means that you can improve or change your state of mind based on positive associations. These positive associations can be seeded into your subconscious mind during Hypnosis. Then consciously you can use tangible anchors to bring you forward to your desired goals; bringing you both success and happiness. Visual anchors are among the most common. We have been making associations ever since childhood. A good example of visual anchors is in marketing and advertising. Think about when you were a child, before you could read, you knew the McDonalds arches when you saw them. Today, you see the blue box with the white letter f and know that references Facebook. We make associations every day based on color, appearance, texture and faces. Think about that grouchy boss or coworker you have had in the past, what do you feel when you see this persons face? Now simply think about this person and you will understand "anchoring". It puts you in a negative state of mind, just by the mere association. There are positive and negative visual anchors. Another great example, if we see the envelope that our paycheck arrives in, our state of mind turns to a positive. An auditory anchor is a stimulus that is a sound or sounds neurologically linked to a state of mind. Again it can be a positive or negative state, but is linked with a sound. What do you feel when you hear the alarm clock. Most people, not all, feel negative. That is because there is a negative state associated with that particular sound. Auditory anchors can also be positive, think about your favorite movie and the sound track that goes along with it. It may be that when you hear that particular song or music you feel refreshed, romantic or motivated. That is because that particular song or music is associated with a positive action or behavior that was carried out in that movie. A positive action or behavior that you were attracted to. A kinesthetic anchor is one that is a movement, touch or physical action that associates a particular state of mind or wanted behavior. This can best be explained with the touches, holding or hugging of a loved one. When that person touches you it makes you feel special and loved. This is because you have associated touch with the love and affection of that person which sparks a positive emotional state. You can develop kinesthetic anchors on your own. At MichelleA Leonard Hypnosis I use Ear seeds; this is called Auricular Therapy. Combined with Hypnosis this kinesthetic anchor will bring your hypnosis experience and your results to new levels of success. The sense of smell is the only sensory channel that is wired directly into the amygdala - the part of the brain responsible for "tagging" anchors with emotional states. Smells can be very powerful anchors. Aromatherapy is very helpful in setting anchors for states you want to experience or behaviors you want to follow through on. 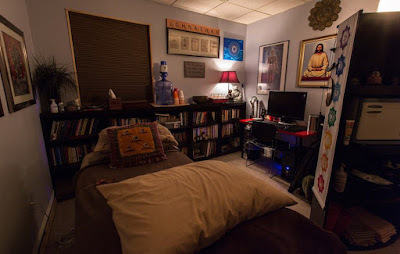 All Hypnosis experiences at Michelle A Leonard Hypnosis are anchored with essential oils. Essential oils are paired with your Hypnosis script based on the results and goals you desire. Anchors are a part of everyday life. Think about products and advertisements on television, radio and on the internet. The leading manufacturers like Nike and Reebok spend millions on leading positive role models and associations in consumer's minds. This is well worth the money for the manufactures because consumers make positive associations and simply must have the product. They feel because someone that is so positive has the product it must be good. This is the reason that there is billions of dollars in advertisements spent every year. After a session of Hypnosis with Michelle A Leonard Hypnosis you will leave with Tangible life tools. These Anchors will aid your conscious mind in communicating with and utilizing the suggest information that was subconsciously planted. There are key factors when using anchors and if you can learn how to use them you will be able to control your state of mind. This can set the stage for success, energy and a multitude of other positives in your life. Intensity: The intensity of the experience can control how fast the anchor makes the associations. If the experience is extremely intense, it may be that the association is strong after only one occurrence. On the other hand, if the experience is less intense, it may take several times to associate the state with the experience. Timing: The most effective time for the association of the anchor is at the peak of the experience. As the intensity of the experience lessens, so does the association. If you can maintain this intensity for a longer period of time, it is more likely the anchor will be established. Uniqueness: It is best to find an anchor that is unique to the experience. Individuals have the ability to use any three of the types of anchors independently or all together. The key here is to ensure that the anchors are used together and at the same time. Make sure that the anchor is associated only with that specific experience, and is not common to other experiences. Repetition: Practice makes perfect! Just like anything else, replicating the experience will achieve the anchor permanently. If you are attempting to build an anchor, you may have to replicate it a time or two exactly. If it is a vision or touch, it needs to be exact to build in your mind. 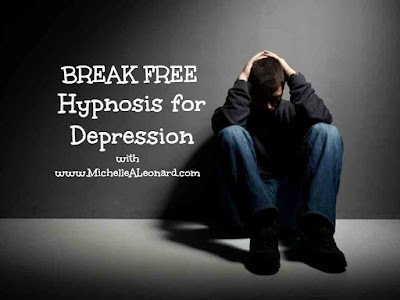 At Michelle A Leonard Hypnosis your session is uniquely individually designed with tangible anchors to elevate success rates. Each private hypnosis experience is combined with Neuro-linguistic programming, Olfactory Anchoring, and Auricular Therapy. This is innovative care, unique only to the advanced session available Michelle A Leonard Hypnosis. We are empowering you with life tools to help you to move forward to your desired goals. Your thoughts will create your world. I am here to support your journey and see you succeed. Get started today! Schedule your appointment. Seasonal affective disorder (SAD), also called "winter depression" - is considered a subtype of depression or bipolar disorder. While not officially in the category of mental illness listed by the American Psychiatric Associations, it is estimated to affect 10 million Americans - mostly women. Another 25 million Americans may have a mild form of SAD, sometimes called the "winter blues" or "winter blahs". The risk of winter depression increases the further from the equator a person lives. According to the Mayo Clinic, most people who have seasonal affective disorder have symptoms that start in the fall and continue into the winter months. Less often, people suffer from seasonal affective disorder that causes depression in the spring and into the summer months. People who work at night or who work long hours in buildings with few windows can experience SAD year-round. Other people may experience a bout of SAD during extended periods of overcast weather. Seasonal affective disorder causes depression, lethargy, irritability and a desire to avoid social situations. It can also create an urge to overeat, particularly carbohydrates and junk food. Seasonal affective disorder is also linked with a chemical imbalance that results from the decrease of light in daylight hours. Melatonin, a brain chemical that plays a role in determining mood, is produced in greater quantities when it is dark outside. This means that more melatonin is produced during the fall and winter. An increase in this hormone can cause symptoms of sleepiness, lethargy and depression, which makes it more difficult for the body to carry out daily tasks that require lots of energy and activity. While these feelings of mild malaise come and go easily for some, each winter signifies a new cycle of depression for others. Freedom from Seasonal Affective Disorder CDs ares designed to bring sunshine into your life, brighten up your mood, and ease the effects of Seasonal Affective Disorder. If you are not available for office hours in Ocean or Monmouth County or just live to far ......We have phone and Skype sessions available! Your location is not a barrier to your successes. I am here to support you or a loved one. ONE MORE OPTION: WHERE THERE IS OPTIONS THERE IS POSSIBILITIES!! I am very excited to be part of your health journey and your success! Depression afflicts millions of people in America every year. For some, it is a brief episode which occurs only once in their life time. However, for many it can be chronic or recurrent, and can significantly impact their lives. It can become a very debilitating condition, and for a small percentage, it even leads to suicide. While drug companies scream the effectiveness of their latest anti-depressant, anyone who has battled the disorder knows that medications do not always help, or they may not help 100%, and some of the side effects can bring misery. Hypnosis has become recognized as a potentially effective treatment for many individuals with depression. Some recent studies have shown that it is more effective than cognitive-behavioral therapy, which is the most common therapy approach in treating clinical depression. While Hypnosis does not work for everyone, it can definitely be worth considering if depression is seriously affecting your life. Hypnosis for depression can help address the underlying cause as well as help individuals find much more effective coping behaviors. It can also help people achieve a happier mood and decrease or dispel the pessimistic and negative thoughts that generally accompany depression. Hypnotherapy for this disorder typically use a combination of suggestion and imagery, as well as specialized anchors, to bring about positive changes in the unconscious processes of the depressed individual. People who undergo hypnosis for this disorder will often experience a new sense of freedom and a greater sense of control over their thoughts, their mood, and their life in general. Since anxiety and stress often goes hand in hand with depression, hypnosis can also be very beneficial because it helps reduce and often alleviate the anxious thoughts and feelings. Rather than remain stuck in the vicious cycle of painful thoughts and feelings of guilt, worthlessness, and hopelessness, hypnosis can help the person to develop a more positive outlook by using powerful suggestions. Rather than going through life reacting to difficult situations that would previously have felt overwhelming or hopeless, the individual learns how to respond effectively. 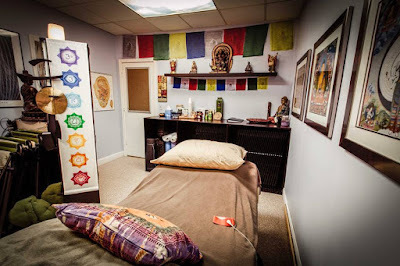 During a hypnosis session positive affirmations and suggestions are implemented into your subconscious once the client reaches a state of deep relaxation. It is during this relaxed state that positive suggestions are very effective. For example, positive and present tense statements such as “I feel happy and optimistic, and am in control of my life”, or “I am a worthwhile person who has much to offer others” may be used. While not all depression is triggered by a traumatic or painful event, hypnosis can be a useful technique to help the individual learn new responses to painful triggers if indicated. It can also help the individual access distressful memories which were repressed yet contribute to the depressed mood. Hypnosis can bring those into conscious awareness and help the individual let go of painful or sad emotions associated with the event. Healthy and more positive associations which empower the individual can be learned to replace those which may have kept the individual depressed. In the future the individual will be less susceptible to similar events and will be able to respond to them more positively. While almost anyone (90% of people) can be put into a hypnotic trance, hypnosis will generally be more effective if the individual feels both at ease with and trusting of the hypnotherapist; and the environment Some people will experience positive effects from hypnosis sooner than others. Many factors will determine how quickly effects are experienced. Children (over 6) respond more readily to hypnosis than adults, and will often experience significant improvement after just after a few sessions. Adults can vary greatly, depending on the severity of the depression, their personality makeup, their motivation for change and their openness to the hypnosis process among other things. 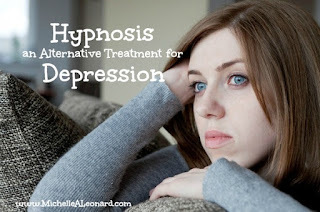 If you struggle with depression and would prefer to try an alternative treatment method, hypnosis is definitely worth considering. It is safe and many people have benefited from it for a variety of disorders and undesirable behaviors or habits. If you do decide to try hypnosis, you can schedule an appointment with me, or you may also consider trying an mp3 (below) which focuses on freedom from depression. Keep in mind that while MP3 recordings may be VERY helpful, they will not be tailored to your specific needs which is one of the benefits of working with a skilled practitioner. Do winter months leave you feeling down and depressed? Do the Winter “blahs” get you down? Seasonal Affective Disorder or SAD as it is appropriately called is known to plague 25% of Americans every fall/winter season, that's 10 million Americans. Due to the natural decrease in sunlight in fall and winter this natural “winter sadness” is due to a decrease of Serotonin uptake in the brain. However, many Americans struggle with low-serotonin year-round some causes are heredity, diet, and an over abundance of stress. Seasonal Affective Disorder falls into the category of mood disorders, along with depression (including postpartem), bipolar disorders, cyclothymic disorder, dysthymic disorder and mania. Typical symptoms of “winter depression” or “cabin fever” include excessive sleep, increased appetite and weight gain. SAD causes, depression, sadness, lethargy, irritability, and a desire to avoid social situations. There are several theories as to how SAD develops. Some evidence suggests that the hormone melatonin increases in production in winter due to the lack of sunlight and an increase in melatonin may trigger depression in some people. Another theory is that there is a disruption in circadian rhythms in winter. Whatever the cause, various treatments are available including medication, light therapy, hypnotherapy, and other holistic/natural treatments. Hypnotherapy can help a person deal with the symptoms as well as the anxiety and stress that often goes hand-in-hand with depression. Many people choose hypnotherapy to help them with a variety of issues as it is a non-invasive, not chemically created source of relief. You can have freedom from Seasonal Affective Disorder, Hypnosis is designed to bring sunshine in your life, brighten your mood, and ease all the effects of SAD. You don’t have to continue to struggle! Get started today! Schedule your appointment. The BioMat is a high-quality infrared heating mat used in healing and pain relief practices all over the world. It offers pain relief including muscle pain, joint pain and stiffness, muscle spasms, minor sprains and strains, and muscular back pain. The BioMat relaxes muscles and temporarily increases circulation. It decreases stress and anxiety; and restores balance, promotes relaxation, increased energy, improves strength, and overall health. Hypnosis combined with the power of the BioMat CAN CHANGE YOUR LIFE! You can learn to manage your complaints and symptoms while minimizing the short- and long-term effects to your physical and mental health through proven relaxation techniques. 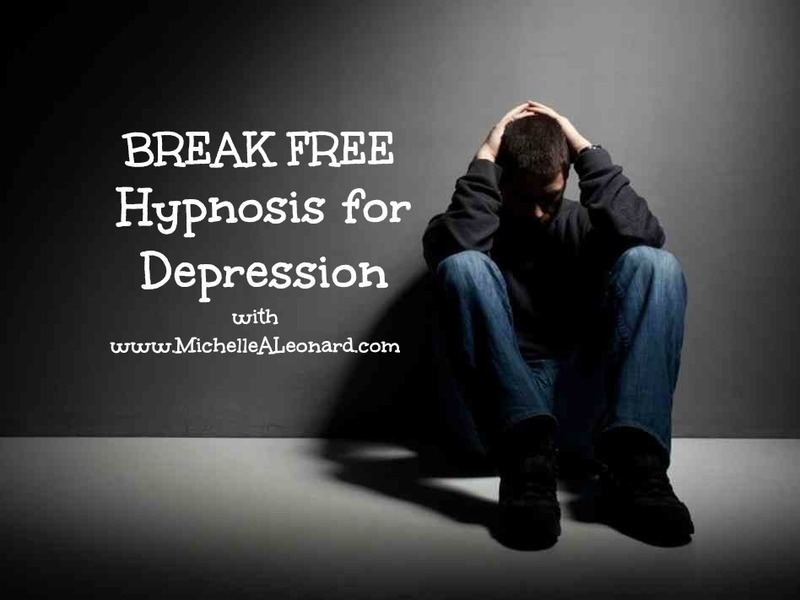 With the guided help of Michelle A Leonard Hypnosis you can eliminate your stress, change your thoughts, and create the life you desire and deserve. The BioMat uses a combination of fabrics and Amethyst stones to generate far infrared rays which is then transferred to the body as heat. Far infrared rays warm the inside of your body when making contact with the BioMat. Your BioMat Hypnosis session can play an effective role in symptom relief. When the BioMat is set between 95˚ to 122˚ it will encourage deeper relaxation, in a shorter amount of time. The soothing warmth and negative ion therapy will help immediately improve and stabilize your mood. Then while in deep hypnotic relaxation; hypnosis suggestions are planted deep into your subconscious mind creating the possibilities for real long term positive life changes. During your BioMat Hypnosis session stress hormones will be reduced, including cortisol by 78% while improving the body’s functioning. Stress is the number one problem people face with health issues. The Infrared Heat is like the sun’s rays. It releases endorphins and lymphocytes (T cells, NK cells and B cells) which means it’s healthy for body and emotional states like depression and anxiety as well as overall pain relief. Amethyst crystals allow the heat to penetrate the body 6-8 inches promoting natural health and rejuvenation of cells. During your session your core body temperature will be altered, safely detoxifying your cells. This improves immunity, wards off autoimmune issues, detoxifies cells, reduces pathogens, and regenerates healthy cells. Biomat Hypnosis sessions are designed to help you become the healthy, happy, optimistic person you prefer to be. With combined technologies and proven health modalities - fears and frustrations fade away, anxiety vanishes, and stress diminishes. Most importantly you achieve overall health improvements and your life is positively changed. Don’t let your symptoms control your life. You can change your life! Biomat Hypnosis helps those with chronic pain relief, promotes deep relaxation, hormonal regulation, and releases endorphins. It lessens the effects of anxiety, trauma, PTSD and depression. It balances the nervous system, reduces inflammation, increases detoxification of cells, and reduces disease rate and speed. Biomat Hypnosis Promotes better sleep and relief from joint pain, arthritis, and autoimmune disease. If have unwanted stress, anxiety, or depression this can be the answer you are looking for.